Introducing the "Shoot anywhere Target Training System"
Imagine turning any room into a Personal Protection practice area or shooting gallery where you don't need to worry about your windows, walls, pets, collectibles... these items can be your targets and they don't get damaged! Personal protection training, Accuracy practice, or just play Games like Battleship, Pool, speed shooting..... Come into our store for an in-person trial of a full setup of the equipment. any computer that meets the minimum requirements listed below. a room with items in it that can be traced by the software as a target. We can provide a complete package or just the items you need. There are two types of pistols and webcams that work with them, one is visible light (red top) and the other is (purple top) non-visible to us but visible to the camera and software. From the kitchen to the living room. you can put up targets or use items that exist in the room. The computer is under the lamp on the right, recording your hits and giving verbal instructions on when to shoot. No traveling to the range. No waiting for targets to be set. ​No waiting for others to finish so you get your turn. No gun to clean when your finished for the day. This system can be used for serious trigger time training, accuracy training or shooting gallery fun! See the red dot on the left target? This is your hit location, shoot once or many times. There are many modes of practice and play. 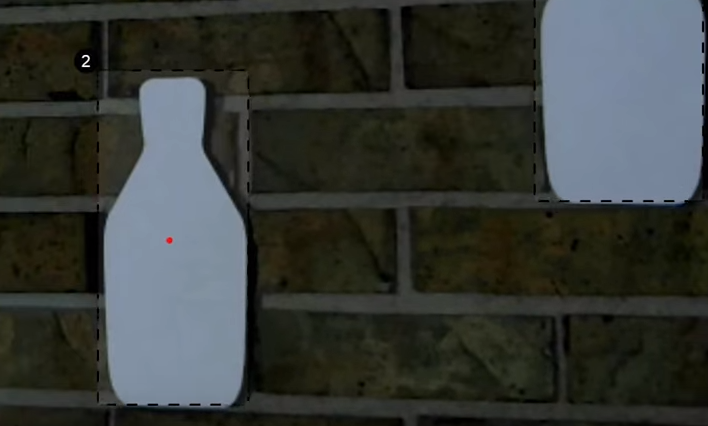 See the dotted line on the left target with the number 2 .... this is the shooting area you define in the software for the target location. Just like using a simple paint software you create shapes around the object you choose as targets. Here you can see the system in action. 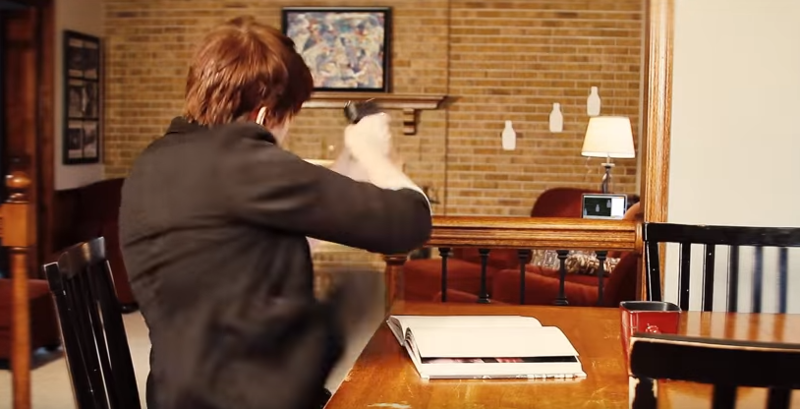 You can train with your firearm, pellet, BB, or airsoft gun, by adding a laser device to it or you can use a dedicated Sirt laser training pistol like the one used in the video. 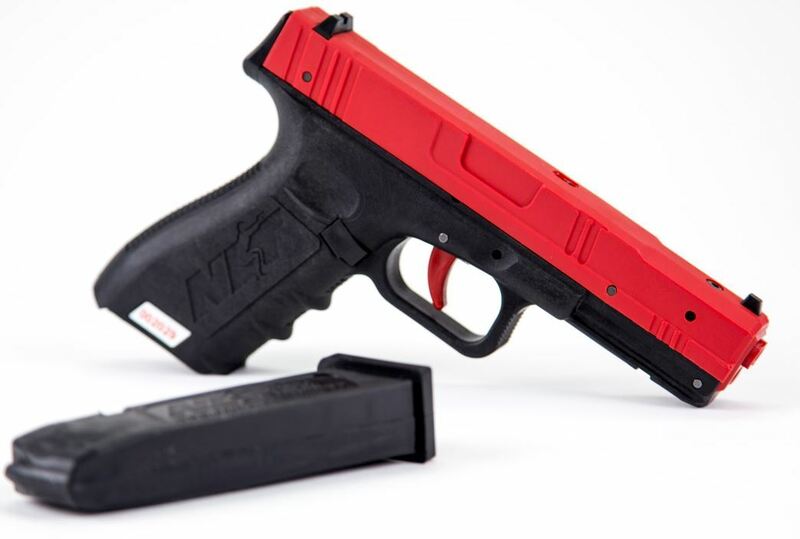 For simplicity and protection from the "Oops I thought it was unloaded" we suggest the dedicated Sirt training pistol. Minimum system requirements, better is always better, *A modern, multi-core, computer processor is recommended. Easy Setup with auto calibration for light conditions. Advanced Features & Feedback, save targets and graph results. Shot Tracking on Multiple Targets. up to 20 backdrop/no-shoot/miss-zone targets. Adjustable Visual and Audible Indicators let you hear the shot and hit on steel! or they can be turned off for night practice when others are sleeping. Special Purpose Targets for setting adjustments from across the room. Race Mode with up to 20 competitors! Reload Mode prompts for a reload after the number of shots input. Call Targets, the software randomly tells you what target to shoot at. Target Down Mode, not everything goes down on one shot. Save and Load Presets - save many different groups of targets and routines. 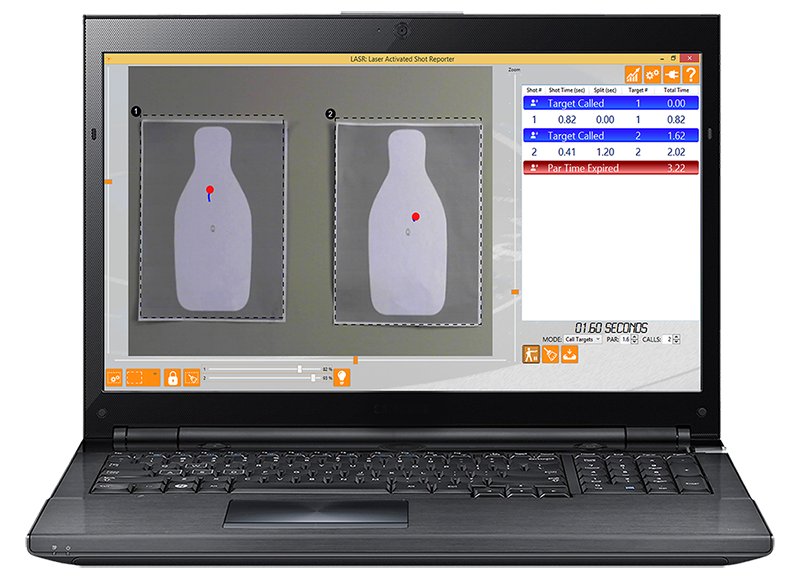 Software only $120 - if you already own a red or green laser pistol or have a laser device for your firearm. Have questions about purchasing, Fill out this form and we get back to you with answers. Here is one way you can use your own firearm as a laser trainer. we don't stock it so it must be ordered and shipped separate.